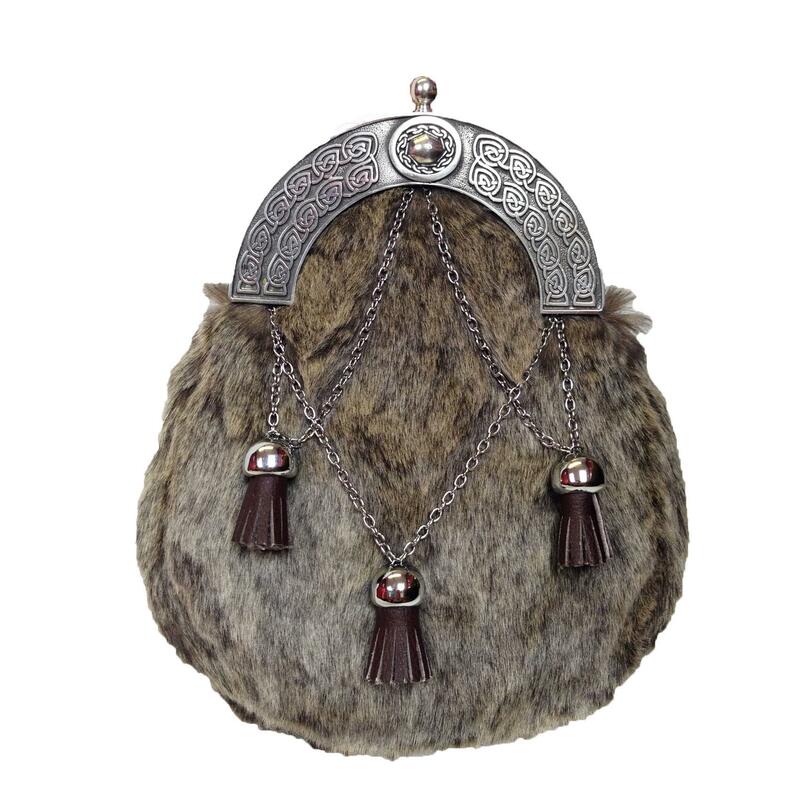 Semi Dress Sporran with traditional pewter cantle. 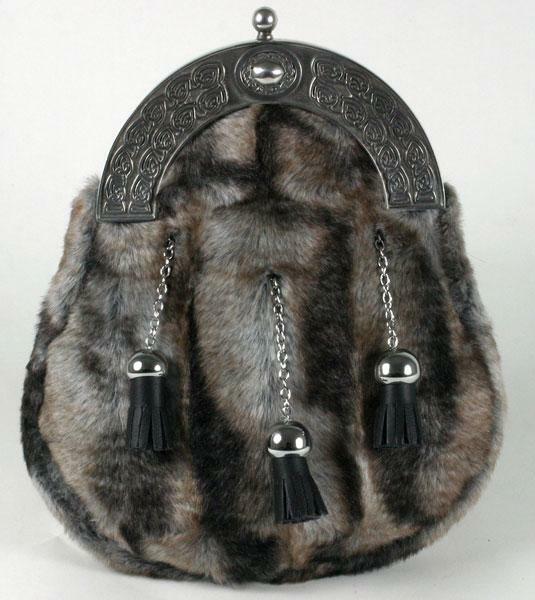 Featuring top quality 100% acrylic faux fur combined with Lorica making a completely animal free sporran. Supplied with 19mm kilt belt with chain & roller buckle. Size approx 19 x 17.5 x 2cm.